I ordered a Nexus 5, just waiting for it to arrive, probably next week. In the meantime, I've been reading and watching many reviews of the phone and Android 4.4,which prominently showcases Google Now voice search. 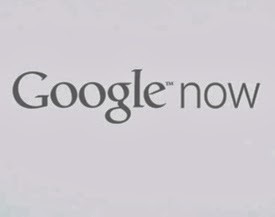 So what is the point of Google Now, exactly? You can use Google Now to talk to your phone to set an alarm. OK, that's a little useful. But I never leave my phone on all night, I turn it off to charge the battery. I used to keep my Samsung Galaxy S Glide on all night while charging, and the battery became swollen and needed to be replaced. So I don't think I will be using the talk to schedule an alarm feature too often. You can use Google Now to ask what the weather is like [wherever]. OK... But I already have a weather widget, and how often does one need to ask what the weather is like? Not nearly often enough to justify having a persistent search bar across the top of my phone. And... So what else does Google Now do that's real-world useful? None of the reviews have been able to show me.